One of the rarest simple things I’ve done so far is something like this. 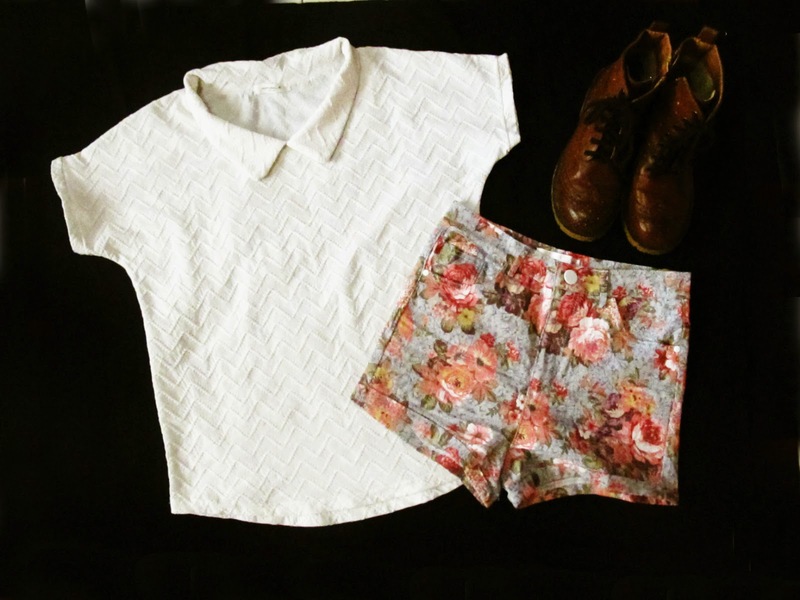 Well, my style is sort of boyish but for now and it’s a miracle that I’m going for a vintage girly outfit. I got a haircut on that day, so my bangs are still straight than ever in the photo. LOL. I’m wearing thrifted clothes from my top down to my shoes and my bag. 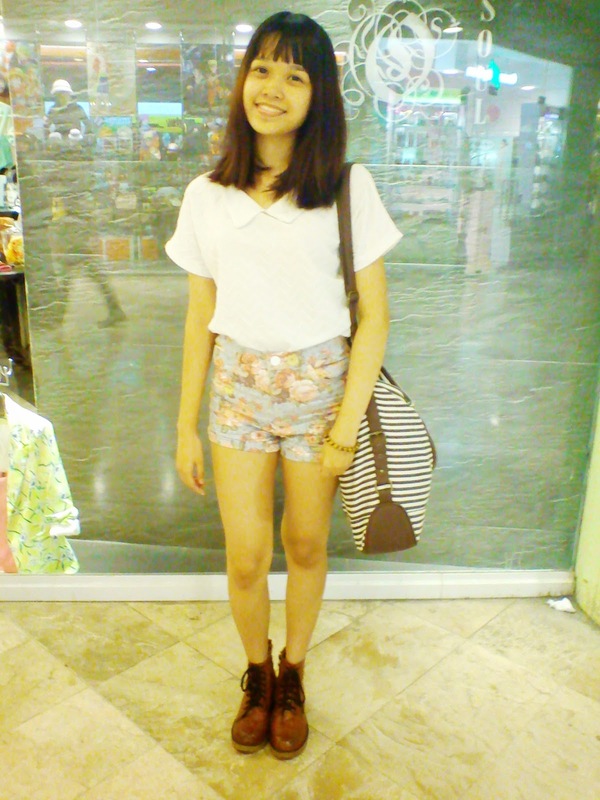 My top is a white collared top with a zigzag pattern it has the Korean brand “Natural B.” I got it straight from Ukay-Ukay while my green floral shorts & so is my Forever 21 two-way stripes bag came from Chic Boxroom who also sells thrifted clothing. My vintage boots are also one of my rare personal finds from the Ukay-Ukay. Here’s a picture of my OOTD.